Colorado HorsePower is now a member of Volunteer Connect Douglas County and is actively posting volunteer opportunities. 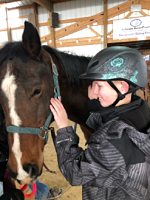 Colorado HorsePower, Inc. is a nonprofit therapeutic riding center which began in 1984 with a vision of supporting elementary children in the Castle Rock schools. 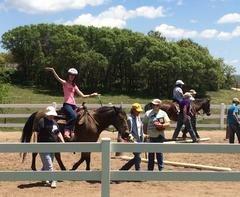 Since then HorsePower has grown to work with children and adults with disabilities, and offers therapeutic riding. They are committed to meeting the needs of mentally, emotionally, and physically challenged children and adults by bringing the therapeutic power of horses and horsemanship to their students. 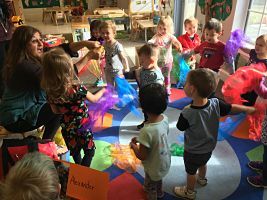 Their mission is to provide a place for students where they gain a sense of freedom and independence, experience accomplishments, interact socially and learn new skills in a pleasurable environment. This is empowering not only the life of the rider, but the entire family. Without volunteers, they could not operate their program. Colorado HorsePower offers many volunteer opportunities and horse experience is not needed. To learn more about Colorado HorsePower and their volunteer opportunities click here. 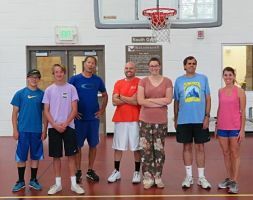 July volunteers of the month for the Therapeutic Recreation (TR) program at Highlands Ranch Community Association are the Basketball Coaches that helped in May and June. This program has grown thanks to the selfless efforts of a number of dedicated individuals. Many have been with TR basketball for over four years. 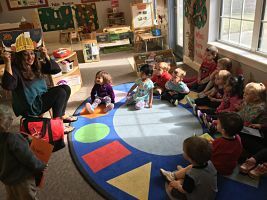 They represent a wide age-range including students, working professionals, and retirees. When asked what keeps them coming back, they cite love of the athletes and love of the game. 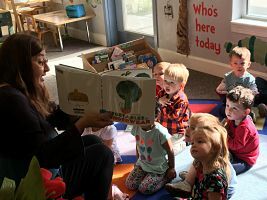 This program would not be possible without their help. Many thanks to these volunteers who bring so much joy to the participants!